The last time we’ve came across a simple iOS game which got us hooked instantly was ‘Tiny Wings’ and guess what, this game we are reviewing in this post is wayyyy better and more addictive despite it being a simple game that only requires one touch to play. 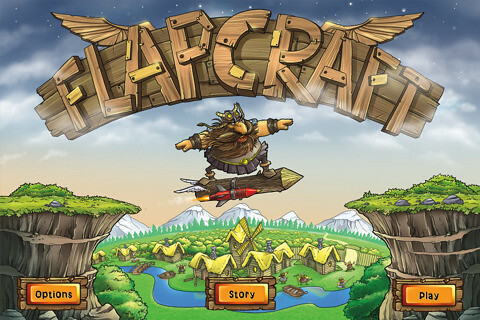 Flapcraft is a game about a Viking doing tricks in the air by flying on a wooden log. You control it using the built-in accelerometer and that’s it… but it’s so good you won’t believe it until you get your hands on it. 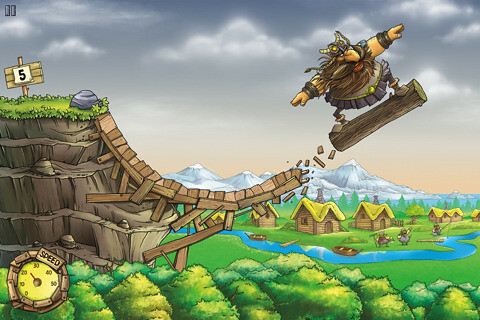 The game has about 30 different levels which requires you to control the Viking in doing certain moves in the air, the challenges are somethings simple but most of the time will get your scratching your heads trying to solve them. I love games that lets me upgrade my characters and Flapcraft seems to be doing the exact thing. 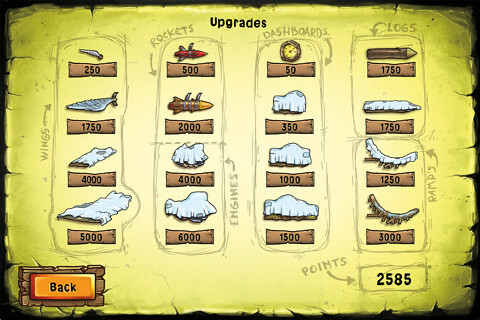 As we play, we gain coins.. these coins will then give ys access to purchase upgrades like a better log, bigger wings, rockets and ramps. 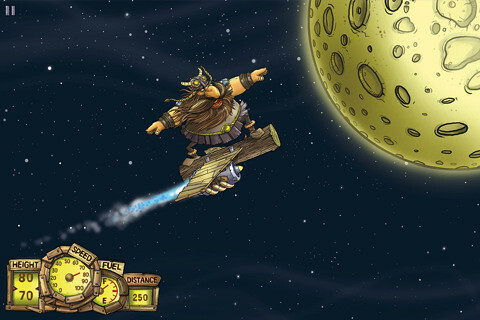 These elements will help the Viking in staying longer in the air, floats higher, fly faster and so on. The game is so good we couldn’t find anything to complain about it. If you have an iPhone, iPad o iPod Touch, we recommend you ‘Flapcraft’.